On a chilly Friday evening 11 scouts and 4 adults drove north. Three hours and 40 minutes later we arrived at the lodge at Ski Wolf Ridge. We quickly unpacked and settled down for the evening. We got up at 7 the next morning we had a cold breakfast. After checking in at the group area everyone got their gear. We headed to the lesson area. The scouts then proceeded to either board or ski until 430. We had some that stayed strictly on the green beginner runs, several headed for the top of the mountain to try their hand at the blue intermediate runs and one that went down the black expert run. Dr Phillips held the fort down and watched our gear at the lodge. 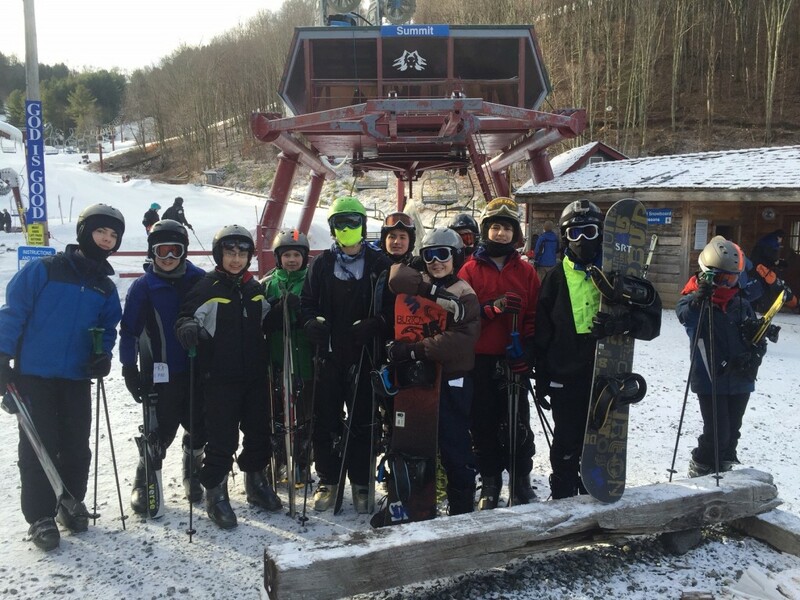 We had two that earned the ski snowsport merit badge on the trip. Everyone progressed in their skills. There was some falls along the way as the progression occurred. Everyone even despite falls and struggles at times had a great time. Everyone changed and gear was loaded. After a stop at Ryan’s Buffet in Asheville we arrived back home at 945p.